Paytm Mall Maha Cashback Sale is live with hundreds of products available at a discount. 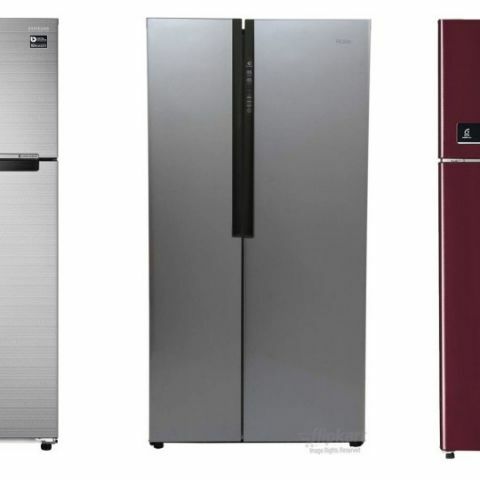 In this lister, we have added the best deals Paytm Mall has on refrigerators from brands like Haier, LG, Samsung and more. Paytm Mall Maha Cashback Sale starts today and will go on till October 25. The platform is also giving an additional 10% cashback to buyers when they make their payments using Kotak bank's credit card. Besides that, customers can also purchase products on no-cost EMI as well. The Haier Frost Free 565L Side by Side Refrigerator claims to offer the best fridge & freezer ratio in comparison to similar refrigerators in the market. As per the company, the fridge consumes less than 1 unit of electricity per day. It is available during the sale for Rs 44,520, down from its MRP of Rs 65,000. View deal here. The Whirlpool 265L Double Door Refrigerator comes with MicroBlock technology, which the company says can prevent up to 99.9% bacterial growth and keeps your vegetable and fruits fresh for longer period. Users can also connect the fridge to their home inverter. During the sale, one can purchase this fridge at Rs 19,627. View deal here. The Samsung Frost Free 253L Double Door Refrigerator is stabilizer free, which means it can operate steadily during voltage fluctuation without attaching a separate stabilizer with it. The All-around cooling function in this fridge cools the fridge evenly from corner to corner. View deal here. The Whirlpool Frost Free 292L Double Door Refrigerator comes with 6th Sense Deep Freeze technology that ensures less consumption to reach the coldest temperature. It also has MicroBlock function that eliminates up to 99.9% bacteria from the fridge. The product is available during this sale for Rs 25,948. View deal here. The Samsung Frost Free 275L Double Door refrigerator comes with features like all round cooling, deodorizer, stabilizer free operation and more. The refrigerator can be bought for Rs 26,292 on the Maha Cashback Sale along with an instant 10% discount on Kotak bank credit cards. View deal here. when Mi3 sale will come again?